AuScope provides geoscientists with world-class research tools, data, services and analytics to help tackle Australia’s key geoscience challenges, and improve Australian life and the environment. We are passionate about contributing to sustainable development and leading research and innovation in our field globally. At our core, we are a small management team based in Melbourne, and a group of leading geoscientists from federal and state government agencies and universities across Australia. 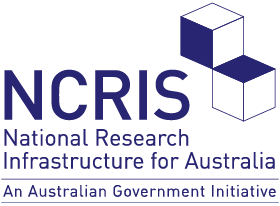 We receive funding from the Australian Government under the National Collaborative Research Infrastructure Strategy (NCRIS) alongside 22 peer organisations who address national challenges across all areas of science. Help us build an investment plan for the Australian Government in 2018 — 2019. Geoscience is the study of Earth, its rocks, its origins and its processes— from the centre of the core to the crust upon which we live. As our human population continues to grow, with ever-increasing demands for food, energy, space, and mineral resources, the pressure on our planet rises. If we are to secure Australia’s natural resources, mitigate the impact of natural hazards resulting from the dynamic nature of our planet and our interactions with it, and build a low-carbon future, we must innovate in geoscience on a grand scale. With the 2018 Australian Budget outcomes in place including 5 years of ongoing funding in the next 0 — 5 years, and the possibility for a significant capital injection in the next 5 — 10 years, we are currently consolidating our position, evaluating our strategic direction, and building an investment plan for the next 5 — 10 years with the AuScope community. This process runs between 2018 — 2019 and includes an independent review of AuScope programs, a strategic meeting with community, and development of working groups to contribute to the investment plan.